The Life & Tragedies of Scott Summers Part 1: Cyclops, The Troubled Boy Scout – AiPT! The first chapter in The Life & Tragedies of Scott Summers series. There’s a moment in X-Men #57 where the X-Men, still reeling from the defeat of Onslaught, question what is owed to Professor Charles Xavier. The world’s most powerful telepath suffers a mental breakdown and unleashes this great evil. Cities are destroyed, innocents are dead, and Xavier can’t separate his own thoughts from Onslaught’s. With government liaison Val Cooper knocking on the mansion’s door to take the professor into custody, Cyclops reasons that while the amount of good Xavier has done doesn’t erase the bad, those actions deserve to be looked at within a larger context. I think about that a lot with respect to Scott Summers. Having been at the heart of nearly every X-Men event since 1963, Cyclops has had his share of ups and downs. He’s saved and threatened the planet. He’s been a lousy lover, absentee father, and the only person standing between his race and total annihilation. In short, he has depth. Years of careful character development have led to nuance and complexity. It’s frustrating then that the news of his return to comics has been met with such derision. Cyclops is not a beloved character amongst general audiences. Decades of films and top-10 lists have painted Scott Summers as a lame, terrible person. He left his wife and child. He cheated on his wife with her rival. He killed his father figure. All of this is true to an extent and if characters existed in a vacuum, Cyclops would be pretty awful. They don’t, though, and he isn’t. This week is dedicated to understanding Scott Summers. Not making excuses for his actions or trying to humanize a villain. Just looking at those actions within the larger context. Because he has so much continuity, we’ll be looking at each of the different sides of Scott over the course of AiPT!’s Cyclops Week; as a lover, father, mutant leader, and revolutionary. Today, we begin with Scott Summers, the troubled boy scout. While researching for this article, I spent a lot of time tweeting comic panels featuring Cyclops and funny captions. To me, it was a way of recapping his life. To others, it was a dog whistle. I had people coming out of the woodwork to complain about Cyclops. When they weren’t calling him out as a deadbeat dad or sociopath, they were lamenting his uptightness–the very thing that I find so relatable about Scott. Scott Summers eats his vegetables. He goes to bed before curfew. He lives a life of control that can be tied directly to trauma, perfectionism, and internalized bigotry. It’s ironic almost–the first X-Man sees his own powers as menacing. Something not to be embraced but contained. His life has been horrible in numerous ways and overtime it has pushed Scott to compartmentalize and overcompensate. I want to break that down. To understand what made him so exacting from his first appearance until his merger with Apocalypse–the day the boy scout Scott died. Silver Age X-Men presents two Cyclops narratives, the will-they-won’t-they between him and Jean Grey and his struggles as the deputy leader of a team of teenagers. In Astonishing X-Men, Emma Frost, under the control of Cassandra Nova, posits that the only reason why Xavier made Scott leader was that he had nothing else going for him. That he needed it more than his peers. It’s an anxiety she tugged at because it has always existed within Scott’s head. This sense of unworthiness born out of a lack of self esteem. Where does that come from, though? We all know the origin story–Scott, his brother Alex, and his parents are involved in a plane crash. There is only one parachute and Scott is told to save his brother. The two boys survive but not without Scott incurring brain damage. Whatever memories he had of his childhood are shattered and all that is left is amnesia and the inability to control his optic blasts. At some point, he finds Xavier and becomes dedicated to fostering peaceful coexistence between mutants and humans. For years, Scott had accepted the haziness around his memories. He didn’t truly know himself and didn’t know how to engage with other people. Was this because he was the wet blanket of the team? Sort of. We learn much later during the events of “Inferno” that Scott’s entire life had been manipulated by his childhood abuser, Mr. Sinister. The orphanage Scott was sent to after his parent’s apparent deaths? Sinister’s. The specialist who provided him with Ruby-Quartz glasses? Sinister. The childhood bully that pushed Scott around and kept him away from the other children? Sinister. Sinister even had Alex adopted in order to make Scott easier to manipulate. Without question, Scott’s life before the X-Men was one of abandonment, beguilement, and child abuse at the hands of a monster. When Scott finally ran away from the orphanage (which was actually a front for mutant testing), the first person he ran into was a man named Jack Winters. Jack saved Scott from drifters in order to use him criminally. Why? So Winters could become a living diamond. I’ll tie this to his relationship with Emma Frost in the next chapter of this series, but suffice to say, Scott didn’t understand people well enough to know the good ones from the bad because he was never properly socialized. Among the original five X-Men, Scott was the odd man out. He’d berate his friends for clowning around and would pull away from social gatherings. This was partially due to how ill-equipped he was to “hang out” and the extreme anxiety he had over his powers. Because Scott was the only X-Man who couldn’t fully control his powers, he felt as though constant vigilance and perfection were necessary to avoid someone’s death. Moreover, he felt himself lacking and didn’t want to spend time getting more attached to Jean Grey when, in his eyes, Warren was a better match. Becoming the team’s leader was almost too much for Scott. He had been thinking of leaving the X-Men at the time–something he’s attempted eight times by my count–and didn’t believe that he deserved the title. While Scott was an instinctive field tactician he didn’t know how to punish or motivate his team. That lack of subtlety during training sessions would create more distance between him and other members–Jean, in particular. No matter how hard he tried to avoid this new responsibility, Scott would always come back to lead this ever-changing team. The X-Men were a part of who he was. 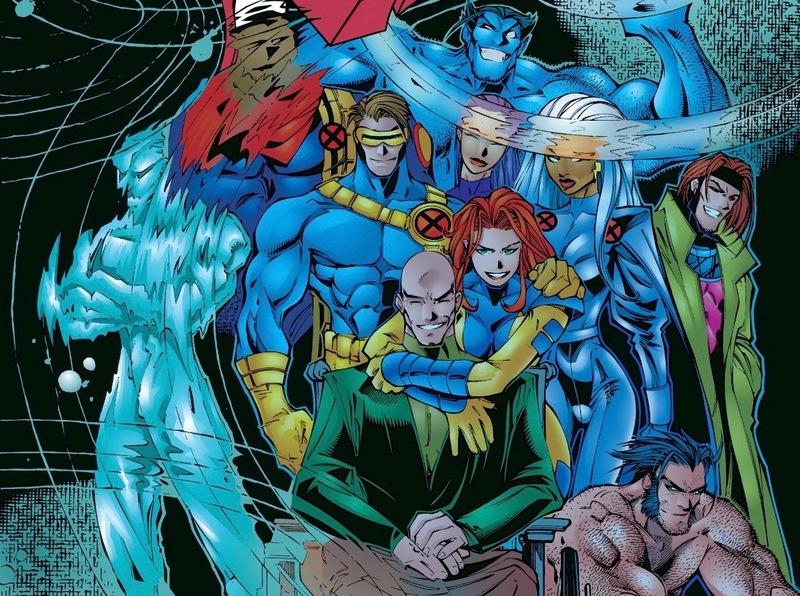 With Giant-Size X-Men we saw the introduction of an international team of diverse, adult heroes with complex motivations. The traditional ways of leadership taken by Xavier and Cyclops were wholly ineffective. Scott immediately butted heads with Wolverine and Thunderbird–two very aggressive, outspoken characters. His inability to reign them in came to a head with the tragic death of Thunderbird in Uncanny X-Men #95. Being the leader who takes the weight of the world on his shoulders, Scott naturally blamed himself for Thunderbird’s passing. In Scott’s mind, to not be perfect at all times was to invite disaster. It’s the reason why he has an upwards of 10 plans for any given situation. Why he believes preparedness to be the only thing standing between his team’s death and survival–just like a Boy Scout. In tandem with this is his need for control. In Scott’s mind, he can’t lose his temper no matter how great the provocation. If he did the merest glance could lead to disaster and destruction. Although Scott spends the Silver and Bronze ages fighting for mutantkind’s equality, he has this internalized belief that he is the mutant menace. Control is the only thing standing between him and being a part of the problem. He doesn’t realize that his powers, as devastating as they may be, don’t define who he is as an individual. In fact, his anxiety gets in the way of his embrace of life itself. The reason why he finally connects with Jean Grey is that he was pushed by Professor X. He was also pushed by circumstance to develop an understanding with Logan. Although they would never really see eye-to-eye, Scott would go to bat for Logan against Alpha Flight and push him through his grief during the “Proteus Saga.” It was Cyclops, not Professor X, who held the team together when it was ready to fall apart. He fought for Logan, he fought for Jean, and he would give everything he had for his foster father’s dream. Over time, Scott would map different ways of engaging with people at large. It even led to him lecturing Xavier on how to treat the X-Men. This confidence didn’t come out of nowhere–it was hard learned through tragedy and experience. He developed a reputation of resolving conflicts not through violence but through words. His life (and hours of brooding) had given him the tools necessary to make others become empathetic towards mutants. This is displayed best in God Loves, Man Kills when a human police officer steps in to stop the murder of a mutant based on Cyclops’ words alone. It’s just a shame that a lack of control is such an issue for Scott. By his admission, his greatest rival for leadership of the X-Men is Storm. Threatened by how naturally she took to leadership, he once called her out for the way the X-Men were being portrayed in the media. It’s important to highlight this Bronze Age moment because (1) the media has always had it out for mutants, and (2) his perspective was more rooted in his own insecurity than it was Ororo’s capability. Scott’s life and development would be complicated by his relationships, something we’ll dig into in the future, but above that is a sense of responsibility. It’s why I get so frustrated when people tweet me about how “unaccountable” or “irresponsible” he is. Cyclops cares probably more than any other X-Man about his actions. He takes responsibility for things he has nothing to do with because, in his mind, things could’ve been different if he was better. This perfectionism can’t be ignored because it’s so character defining. The new millennium would usher in a very different Cyclops. During “The Twelve” crossover, Scott is captured by Apocalypse. He is one of a dozen mutants to have their essence taken by Apocalypse so that he may ascend to godhood. I reference this event specifically because it really is the conclusion of Scott, the boy scout. At the eleventh hour, Scott intercepts the merging of X-Man and Apocalypse–becoming one with En Sabah Nur. It is a turning point for Scott Summers. Having his thoughts invaded by Apocalypse led to an identity crisis as well as post-traumatic stress. Scott would still be an X-Man but his perspective on life, romance, and heroism would be colored by the trauma he experienced. It is because of this moment that Cyclops is known more for being calculated and strategic than he is for being a good person. It warped him. Without the influence of Apocalypse, he would have never left Jean, he would have never weaponized the Legacy Virus against the Skrulls, and I doubt he would have embraced the Phoenix Force during Avengers vs. X-Men. Regardless of your opinion of Cyclops between 1963 and 2001, he was a good man who didn’t always do right but often meant well. Moreover, he dealt with a lot of the same issues I struggle with. I do want to be perfect. I give more fucks about more than I should and I feel a kinship with Scott because of it. We’re flawed individuals, in spite of how hard we may try. Over the coming week, we’ll dissect other sides of Cyclops’ character. You can expect controversial opinions on how healthy his relationship with Jean was, how good a father he was to Cable, and what really pushed him over the edge post-M-Day. Stay tuned as we get to the heart of his character throughout Cyclops Week.